Home / QuiBids takes the bronze! The Olympics might be over, but it didn’t keep us from nabbing a bronze award! 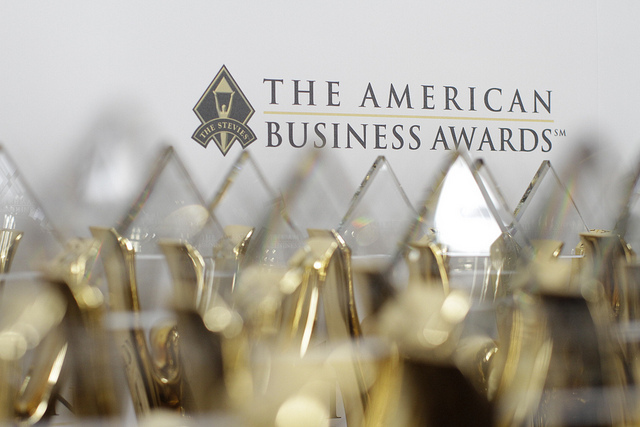 Back in June we were informed that QuiBids was in the running for an American Business Award —aka The Stevie Awards — which honor the positive contributions of organizations and business people worldwide. Because the banquet was hosted all the way out in San Francisco —a pretty good distance away from our Oklahoma City office home— we had to decline to attend, which is a huge bummer because it looked like a bunch of fancy fun! QuiBids, and all the other companies up for Stevies, were judged on a criterion to determine exemplary business practice in 44 different categories, and we’re proud to announce that we claimed a Bronze award for being a Fastest-Growing Tech Company of the Year — with up to 2,500 employees! We think that’s pretty good for a Midwestern dotcom startup about to start its third year in a really competitive e-commerce market! Thanks Stevie, and congratulations to the other winners! This distinction marks QuiBids’ third big award this year, and second specifically for excellence in E-commerce. The first was a Best in Class distinction from the Interactive Media Awards, which recognized us for our dedication to customer service and protective features like Buy Now. We were also honored by two Oklahoma City publications. okcBIZ magazine named QuiBids the third best small company to work for in the state and The Journal Record, an Oklahoma City business newspaper named us one of their Innovators of the Year!